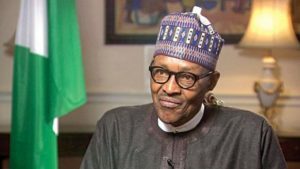 President Muhammadu Buhari has approved the redeployment of his Chief Security Officer (CSO) and accepted a replacement. Bashir Abubakar was Mr Buhari’s CSO until this week when he was ordered to proceed on an immediate “strategic course” at a university in Buenos Aires, Argentina. He was promptly replaced by Idris Kassim Ahmed, top sources at the Presidential Villa told PREMIUM TIMES. Whenever Mr Ahmed is not in the villa, he is to be assisted by another State Security Service (SSS) official, Abubakar Maikano. Mr Buhari had two months into his administration in July 2015 replaced his erstwhile CSO, Abdulrahman Mani, and requested the SSS to redeploy him out of the Presidential Villa. The president thereafter appointed Mr Abubakar to replace Mr Mani. Until his appointment as CSO, Mr Abubakar was an assistant director in the Bayelsa State command of the SSS. Mr Ahmed, the new CSO, was deployed from the headquarters of the SSS. Our sources, who are familiar with the development, said the removal of Mr Abubakar was at the instance of the Director General of the SSS, Yusuf Bichi. A source said those around Mr Buhari do not like the “independent method of operation” of Mr Abubakar. For instance, we gathered that Mr Buhari’s media team were not happy with the way Mr Abubakar expelled the State House correspondent of Punch Newspaper, Olalekan Adetayo, without recourse to the media team. Mr Abubakar thereafter defended his decision to expel the reporter, saying journalists have a responsibility to be patriotic in reporting matters of national importance. In an internal memo he distributed in April 2017, to several presidency officials, including Femi Adesina, the special adviser to the president on media and publicity, Mr. Abubakar detailed alleged transgressions and ethical concerns observed in Mr Adetayo’s reporting of activities of the State House, and pronounced him unfit to continue on the beat. “You may wish to advise the Punch Newspaper that it reserves the right to send a more matured, professional and patriotic representative that will work in the overall interest of the nation rather than self-serving and parochial interests,” Mr. Abubakar, said in the April 25, 2017 memo, which was also copied to the President and the then Director-General of SSS, Lawal Daura. Although Punch newspaper demanded an apology from Mr Abubakar and vowed not to name a replacement for Mr Adetayo, we gathered that the newspaper had sent in a replacement to the State House beat but the former CSO failed to grant approval for the new reporter’s credentials. When PREMIUM TIMES contacted the spokesperson of Mr Buhari, Garba Shehu, Friday evening, he denied knowledge of the new security officer. He said he has not yet been briefed on the matter and will revert whenever he receives any information.